One of the very first TV shows that I loved was NCIS. While I don't often find people that watch it or love it, it continues to be a show that still holds a very fond spot in my heart to this day. Here's four reasons why you should give this police drama a chance. The main thing I love about this show is the characters. They're well-developed, and not only do they have realistic flaws, but they seem alive. Since NCIS is largely character-driven (because it doesn't have a continuing plot-line), the characters have to sit center-stage nearly all of the time, and that is where this show really shines. Gibbs (the stern and coffee-loving, grumpy, old man) and his team and all of the other people that work with them feel like living, breathing people with feelings and lives. As the show progresses from season to season, each character grows and matures as they grow older. Tony grows from a goofy and immature young man in the first seasons to a sensitive and caring one later on. McGee grows into himself and becomes more confident in his abilities. Ziva learns to open up to and trust her teammates. It happens slowly, but I think that's real. People rarely change overnight. As the show progresses, the characters really become like family to each other. Tony and Tim start to become like brothers, Abby and Kate (and later Abby and Ziva, and even later Abby and Bishop) become like sisters. Even with their differences, they learn to work together and truly care about each other. It may not be obvious on the outside (to newcomers) how close they are, but they are, and if you look closely, they do show it. Their ties are stronger than blood; they're the ties of friendship and trust. Throughout this show, we also learn more about the character's families and personal lives. I think it's special in that it gives us a very clear path from their upbringing to where they are and who they are today. Their relationships are vivid and touching, and it helps us to understand the characters more. The differences between their world and our world are slight, but they are there, and they subtly peek themselves out of the background every once in a while. For example, CNN becomes ZNN in their version of Washington, D.C. It's very clever, and I love the way that their world is almost the same as our world, but then something totally ridiculous comes along. One of my favorite recurring jokes on this show is that Ziva (since she's not a native English speaker) simply does not understand American idioms and figures of speech. It has caused many unfortunate and hilarious situations. Ziva: There's also someone here from Social Security to pick him up. Gibbs: "Services," Ziva. Social Security is for older people. Since Gibbs and his team are technically not cops (NCIS is a government agency), they're free to work on cases all over the East Coast. 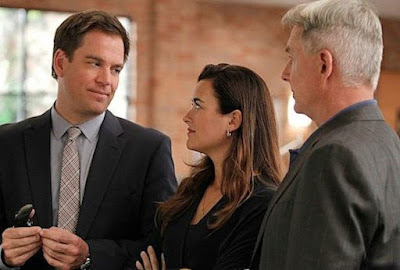 However, since Ziva is on their team (Ziva is from the Middle East and still has political and personal ties there) and other members of the team also have internatonal connections, they often cross paths with people all over the world, and they even go all over the world. This show is not limited to occurring within the borders of the United States, and it's truly a breath of fresh air. Are you still deciding? All twelve seasons are on Netflix! If you don't want to start at the beginning, I recommend season seven. It has some very solid and intriguing episodes and it is one of my favorite seasons. Have you ever seen NCIS? What do you think?